On Wednesday, the government formulated a package of measures to mitigate the economic crisis as inflation increases. Ads also try to reactivate low consumption. The Consumer Price Index (CPI) for March was 4.7%. The first change was actually made on the same Tuesday: the central bank announced it would freeze the exchange band to set limits for arbitration. Stabilizing the price is one of the biggest bets on Casa Rosada. This Wednesday, the dollar began to fall. This scenario is very complex in government, especially in the election year. It was 11.8 points in three months, Inflation is already half the 2019 forecast.. I am afraid of the annual data and become 54.7%. In one document, the government announced measures before 11 o'clock. So he summarized it. 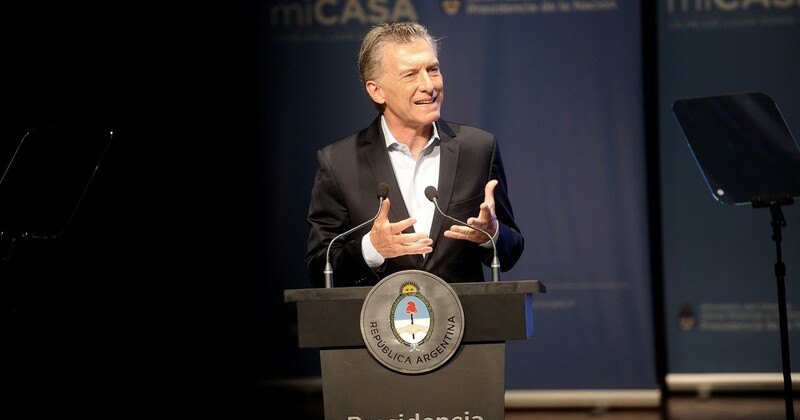 ● "We are beginning to stabilize the exchange rate problem, Please bring some alms to Argentina., Made this much effort in this difficult month for everyone. " "So we talked to the governors and then we talked to the heads of change and production, Fight inflation It will help revitalize the economy. " "The main initiative we are taking is agreement with leading companies. Keep prices of 60 essential products at least 6 months And No payment for new rate increase Public Services of the Year From a national orbit"
● "Also, A new round of ANSES credits, new requests for Procrear Plan and a new network of ANSES discounts To 18 million beneficiaries. " "We are confident that we will end this 75-year-long problem to lower inflation in the long term, and the profound and structural changes that we have made over the last few years are indispensable." ● In the short term, however, we take steps to protect Argentina at this transition. So we can overcome inflation, and this redevelopment will continue to be strengthened to escape this big problem. It has been hunting us for decades. " We then expanded the details of the key actions. "We agreed with 16 major companies to keep 60 essential essentials in our baskets for at least six months. ● These 60 products include oil, rice, flour, noodles, milk, yogurt, yerbamate, tea, sugar, preserved food, polenta, cookies, jams and drinks. ● The company guarantees the availability of gondola products at 2500 partner sales points nationwide. They will be available from Monday, April 22. " "We offer ANSES benefits, a discount network between 10% and 25% for 18 million people who benefit from ANSES in supermarkets, apparel, lighting, travel and tourism, consumer electronics, consumer electronics and materials. ● Progresar Scholarships, Domestic Service Staff, We Create the Future, We Are the Future, We Are the Future, The Progresar Scholarship, the Domestic Service Staff , Community production projects and life programs in the province of Buenos Aires. ● Beneficiaries have access to discounts with debit cards associated with ANSES. ● A new round of ANSES credits. In addition, we receive more ANSES credits and renew and expand our proposals at more cost. ANSES credits can be used for universal assignments by retirees, non-contributory pensioners, and child and family allowances. There are approximately 18 million people in total. " "The government will approve a new regime of commercial loyalty by decree, whose main purpose is to abuse the dominant position or to avoid the monopolistic behavior of large corporations. ● The Department now has more power to sanction unfair or anticompetitive behavior. It also protects consumers, small businesses, and small businesses. " We cut meat at low price. "Export refrigerators have agreed to sell 120,000 kilograms per week of roast, vacuum and MATLAB at the Central Market Retail Expo and at the exit of each refrigerator at 149 pesos per kg. ● To provide references, the central market sells about 70,000 kilograms of meat a month. ● These cuts can be used within 10 or 15 days after the new system is completed. " "The government will no longer raise electricity, gas and transit rates for families for the remainder of this year. ● Residential electricity. There will be no new increase. The two increases announced during the rest of 2019 will be absorbed by the national government. ● Gas. The growth rate was applied from April and stumbled for three months (10% in April, 9% in May, and 8% in June). ● You will also receive a 22% discount on gas rates in the winter and users will be paid on a summer invoice and a lowest consumption invoice. This allows you to "flatten" the final invoice between winter and summer. The state pays for this deferred payment. ● Traffic and tolls. During the rest of the year, buses and metro trains will no longer grow. There will also be no toll charges that depend on the government. ● Important note This notice refers only to electricity, gas, and vehicles that depend on the government. " "Operators have agreed to keep the prepaid line cellular phone charge for five months until September 15. This action will benefit 35 million lines." • "Beneficiaries of universal parenting (AUH) for the children of Buenos Aires, a guarantee for the future, complementary productive projects and more life programs and their family groups will receive a discount of between 20% and 70% on medicines There are about 5 million beneficiaries in about 5,000 pharmacy networks across the country. " "We are extending credit to natural gas network connections to 70,000 homes that still use bottles despite the fact that they are connected to a gas network." The gas network is safe, comfortable and affordable. ● The program connects to the natural gas network via a low interest rate credit and offers up to 60 fixed installments at 489 pesos. The bill is paid with the invoice, and the household automatically receives the social gas fee for six months. " "We are calling a new request for a ProCreAr plan and can join the 30,000 new homes we have already created with our ProCreAr plan. ● As in the previous telephone call, the home deducts the value of the home (10% of the price in this case) and 20% of the country as a non-reimbursable subsidy. The average subsidy would be 550,000 pesos. ● On the other hand, we are devising an alternative to mitigate the situation of people who have mortgage loans in UVA and to detect a significant increase in the quota. "AFIP has initiated a new payment plan that allows all taxpayers' tax liabilities to be settled at a lower interest rate than their existing plan and canceled in the long term. ● Includes debts of major taxes (VAT, profits, personal assets, etc.) to be paid on January 31, including withholding and tax payment. ● A new plan can be made up to 60 times (the previous day reached 48 times). ● The maximum interest rate for SMEs is 2.5% per month, lower than the previous plan and much lower than market interest rates. ● The remainder of the taxpayer can apply the interest rate of 2.5% per month for the first payment of 20% of the liability. ● The first installment expires on September 16 this year. You can present any plan you want without limit. " ● "Credit card sales will shorten the period that merchants receive money. Today, credit card companies pay each sale within 19 business days. The central bank will process it within 10 business days. ● In addition, banks do not charge a fee (currently 1% ~ 2%) to SMEs to receive cash. This situation was not regulated by the BCRA. The BCRA will now formulate regulations and prohibit its delegation. " "Export tariffs (withholding) are eliminated for all companies exporting above the export averages of last year, and this measure only applies to exporters under $ 50 million per year."